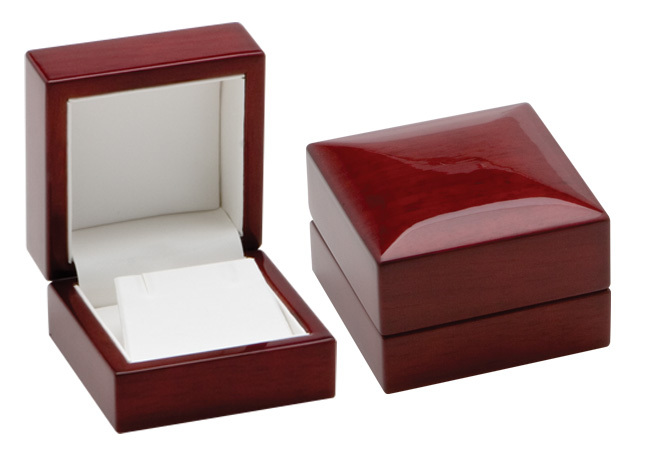 Mahogany coloured, oakwood case hand coated with multi layers of polyurethane to produce a classic, high gloss, finish. 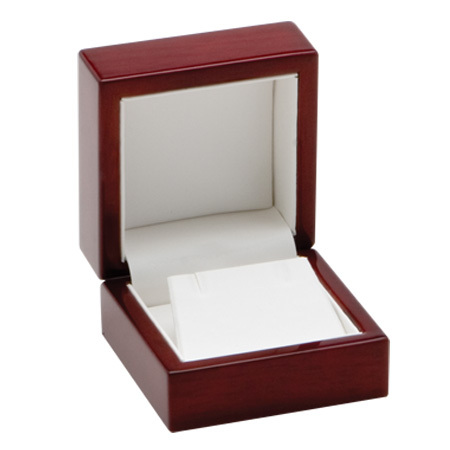 This is a beautiful piece; finely crafted yet sturdy with a snap shut lid. 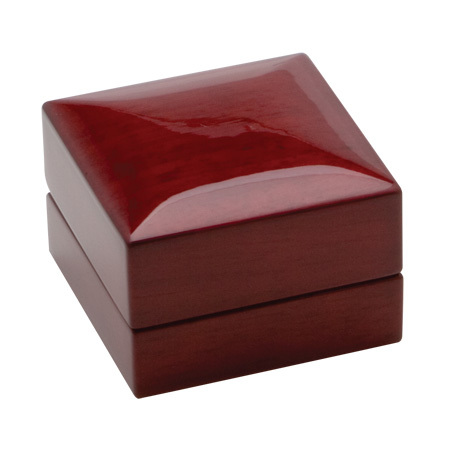 The interior is lined with soft white leatherette to form an effective contrast with the solid exterior to form a wonderful piece, highly rated by jewellers around the world.